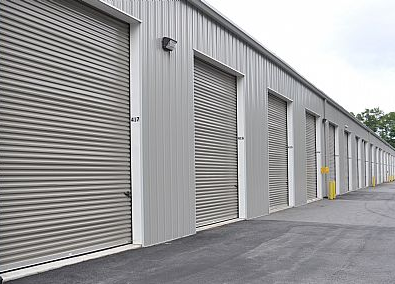 Keylock Mini-Storage is a centrally located storage facility in the tri-county area. We are one of the few staffed offices in the area and also offer some of the lowest rates. Our clean well-kept property is perfect to store your items. Units are available from 5x5 to 10x30 as well as outside storage for campers, boats and trailers.We also carry a wide variety of items to meet all of your shipping, packing and storage supply needs. Serving Queensbury, Lake George, Glens Falls, South Glens Falls and Hudson Falls. Month-to-month rental terms as opposed to 6-12 month lease terms for commercial real estate. Convenient access hours which extend past traditional office hours, with 24 hour access available. Please call 518.581.9123 for more details, pricing or to set up an appointment for viewing. Holds small furniture, several boxes of items, file cabinet, etc. Holds larger furniture such as a couch, chairs, dressers, along with boxes or other smaller items. Helpful tips on packing and storing to save you space, time and money! Make sure refrigerators and/or freezers are thoroughly dry and stored with doors slightly ajar. Some goods can be stored inside large appliances and boxes can be stacked on top of stoves, refrigerators and freezers. Be sure to clean stoves and cooking equipment before they are stored. Pack books flat to protect their spines. To prevent moisture absorption, do not place boxes directly on concrete floors, but use pallets or skids. Use packing to fill out empty pockets in the boxes. Do not pack fragile items in the same box with books and do not overload. Hangers should be used on all clothing, curtains and drapes. Wardrobe boxes may be purchased in our office. If the items are too large for a box or cannot be hung, such items should be carefully folded and stored in dresser drawers, cedar chests or wardrobe style cardboard cartons along with bedding and linens. Food crumbs or stains should be removed before storing. Avoid storing anything that may attract pests. The items you place in Keylock Mini-Storage spaces are the sole responsibility of you, their owner. Items are not insured by Keylock Mini-Storage. A good quality lock is the best way to ensure the safety and security of your belongings, regardless of any security system a storage facility may have. Check with your insurance carrier for coverage, or ask a storage consultant for a referral. Remember, if it's worth storing, it's worth insuring. 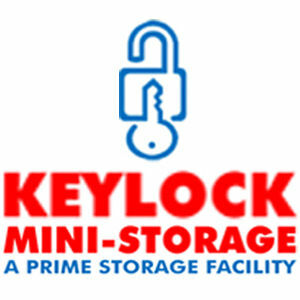 Keylock Mini-Storage is a centrally located storage facility in the tri-county area.